I think it’s time to talk about Myrnin. You know, the guy who lurks in the alley next to Gramma Day’s house? In the shack? You might also know him as the adorable/terrifying vampire who’s built a steampunk lab underneath the shack, blown it up a few times, can’t use bookcases worth a damn, invented a computer that runs on blood and requires a real brain, and … wears bunny slippers. 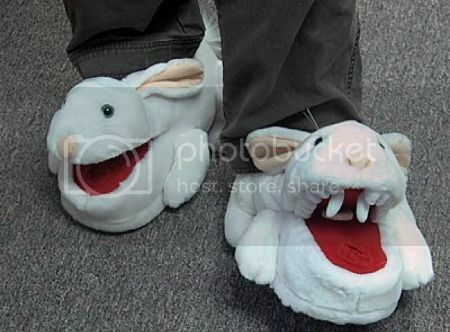 Vampire bunny slippers. Lots of readers are hooked on Myrnin, and write in to ask for more, more, more Myrnin. Which I love, of course. But I thought I’d tell you Myrnin’s origin story. The character of Myrnin was a placeholder in the first two books. In my head, I had a slot for the “strange scientist” who helped create and run Morganville’s various weird systems, like the field that makes you forget the town when you leave it, the portals Amelie uses as her own personal express lane, etc. But I didn’t know anything about that guy. He was just a shadow in the dark, which was why, in the beginning, I described him as the trapdoor spider that lurks in the shadows of the alley, and also might be the actual inspiration for the Arthurian legends of Merlin. I wanted to discover him, in a sense, as I wrote him. Discovering him was more like opening a door and finding a fully formed person on the other side of it. 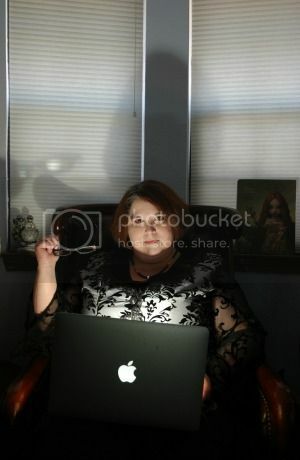 There are 10 blogs participating in the Morganville Vampires 10th Anniversary Bash and each blog has a bold, red, hidden buzz word in the body of the post that entrants must find and submit via the Rafflecopter below. Find all 10 buzz words, enter them in the Scavenger Hunt Rafflecopter on any of our 10 participating blogs, and be entered to win 1 of 3 prizes! 2 Runners-up will receive a Morganville Vampires tote bag, a signed paperback copy of Midnight Bites, a TPU sampler booklet , a Fall of Night lenticular, a photo still from Morganville: The Series, a Welcome to Morganville postcard, a Ghost Town lenticular, and a Morganville: The Series poster. Stay tuned for more Morganville throughout the month of October! The morganville vampires got my two girls reading. They now read at college level I tell everyone with kids who need a little help. Read them and your kids reading skills will run away. Love them. I love, love, love Myrnin! I can’t wait for the new wattpad story!! !